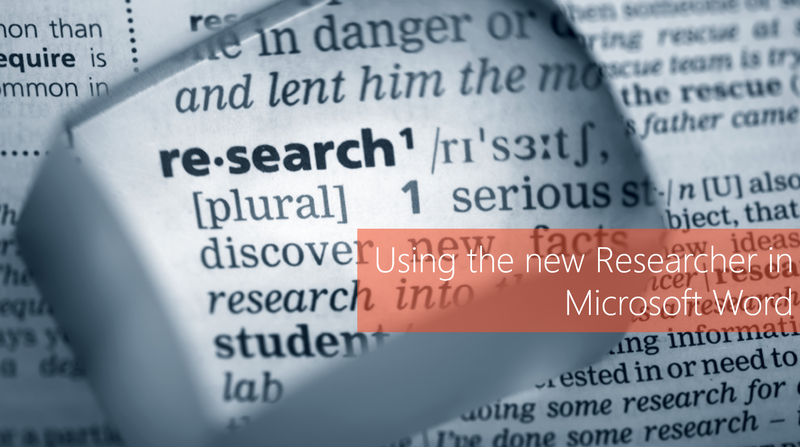 #Office365Challenge The all new Researcher was added to Word in the June 2016 updates. It’s a great research tool for those who write articles, blogs, publish papers. To use the tool, simply click on References (1), then on Researcher (2). The Researcher will open on the right (3). Enter your Search (4) and press enter. The search results will immediately appear below it. And that’s it for today. Short and sweet – but POWERFUL! !